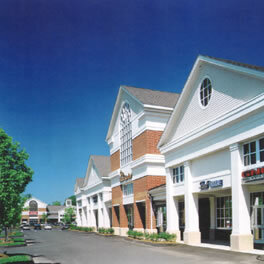 Southbury Green shopping center by Miller & Favazzo Properties - quality real estate development and property management. 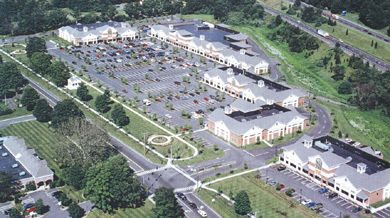 Developed in 1997, this 145,000 SF lifestyle shopping center reflects its rural setting. Designed by Bennett Sullivan, a local architectural firm, it offers classic design features, including palladian windows, cupolas, and brick façades. 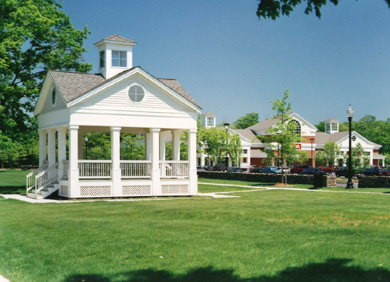 The complex incorporates a park along the length of the shopping center that features a gazebo and accommodates concerts throughout the summer. Tenants include the GAP, Victoria's Secret, Ann Taylor Loft, and Chico's.